Really what you need for soda is 3 things, juice or flavoring, sweetener (if needed), and carbonation. Traditional soda got its carbonation from a slight fermenting of the sugars, and homemade soda is still made this way. I have never made soda this way because I started making and kegging my beer before I tried to make soda. If you have a carbonation system you can false carbonate your soda. I started doing this with my beer, so when I make soda I use this method. Mother Earth News has a good article if you want to try making soda the traditional method. Really the only difference is you let the soda ferment a little to get the carbonation compared to putting carbonation in it, and you don’t need kegs or a CO2 setup. Take 1 gallon of the water in a non-reactive saucepan, add the ginger and the sugar and steep over low to medium heat for an hour or two. Then leave the pot to cool. Pour the 1 gallon into the keg, through a strainer fine enough to catch the ginger pieces. Leave the ginger in place and pour the remainder of the water through the ginger, for maximum gingerness. Seal the keg and hook up the CO2 to the out valve, so the CO2 percolates up through the liquid. If you can, refrigerate the keg (because CO2 goes into solution easier in cold liquid). Turn the CO2 on to 12-15 psi and let sit for 24 hours. Take the CO2 off the out valve and put it on the in valve, then hook up your serving line and try your soda. Once the keg gets down about halfway it may need to be re-carbonated a little. 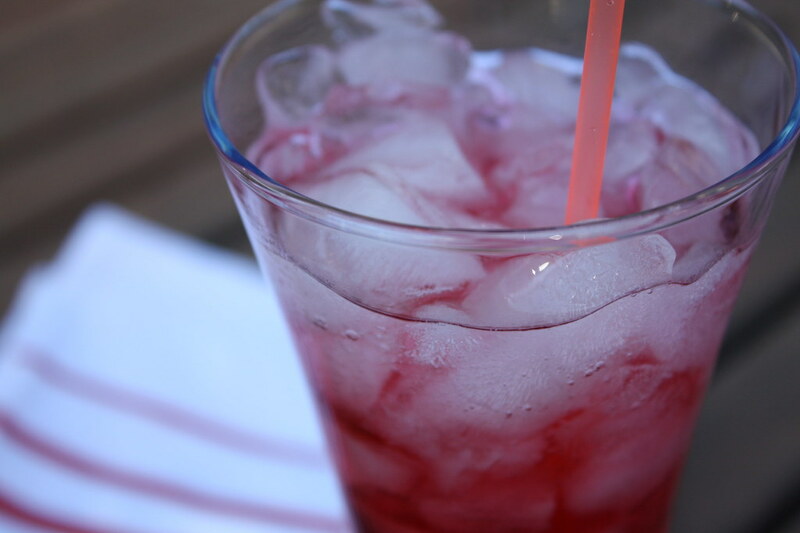 I’m going to make a cranberry-orange soda next. Then a blackberry soda. Try it out! That is seriously cool. If we had the room I'd definitely try this out and I know my husband would dig it.